WASHINGTON — Hydraulic fracturing to drill for oil and natural gas poses a risk to drinking water in some circumstances, but a lack of information precludes a definitive statement on how severe the risk is, the Environmental Protection Agency says in a new report that raises more questions than answers. The report removes a finding from a draft issued last year indicating that fracking has not caused “widespread, systemic” harm to drinking water in the United States. Industry groups hailed the draft EPA study as proof that fracking is safe, while environmentalists seized on the report’s identification of cases where fracking-related activities polluted drinking water. The final report, completed at a cost of $29 million over six years, takes pain to avoid conclusions. “The report provides valuable information about potential vulnerabilities to drinking water resources, but was not designed to be a list of documented impacts,” the EPA said. Tom Burke, EPA’s science adviser and a deputy assistant administrator, said in an interview that the removal of the phrase about “widespread, systemic” impacts came at the urging of the EPA’s Science Advisory Board. “Data gaps did not allow us to quantify how widespread the impacts are,” Burke said. Environmental groups have claimed that the finding of no widespread harm was inserted into the draft report at the insistence of the White House. President Barack Obama supports fracking as part of a wide-ranging energy strategy. An EPA spokeswoman denied any political pressure. “This is an EPA document, not a White House document,” said spokeswoman Monica Lee. Fracking opponents said the report confirmed what they have long argued - that fracking threatens drinking water. But the oil industry called the report an “absurd” reversal as the Obama administration leaves office. “The agency has walked away from nearly a thousand sources of information from ... technical reports and peer-reviewed scientific reports demonstrating that ... hydraulic fracturing does not lead to widespread, systemic impacts to drinking water resources,” said Erik Milito of the American Petroleum Institute, an industry lobbying group. Like the draft study, the final report found specific instances where poorly constructed drilling wells or improper wastewater management affected drinking water. Impacts generally occurred near drilling sites “and ranged in severity, from temporary changes in water quality to contamination that made private drinking wells unusable,” the EPA statement said. The number of contamination cases was small compared to the large number of wells that are fracked nationwide, the EPA said. The EPA assessment tracked water used throughout the fracking process, from acquiring the water to mixing chemicals at the well site and injecting so-called “fracking fluids” into wells, to collection of wastewater, wastewater treatment and disposal. The report identified several vulnerabilities to drinking water resources, including fracking’s effect on drought-stricken areas; inadequately cased or cemented wells resulting in below-ground migration of gases and liquids; inadequately treated wastewater discharged into drinking water resources; and spills of hydraulic fluids and wastewater. Congress ordered the long-awaited report in 2010, as a surge in fracking fueled a nationwide boom in production of oil and natural gas. 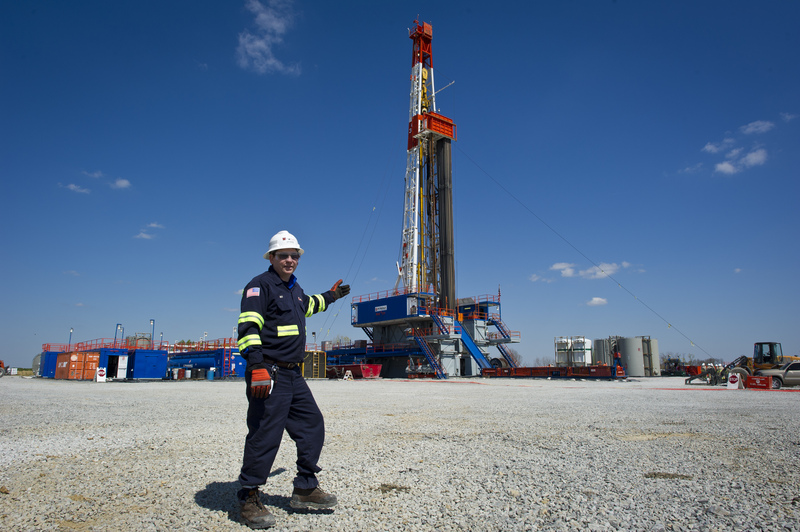 Fracking rigs have sprouted up in recent years in states from California to Pennsylvania, as energy companies take advantage of improved technology to gain access to vast stores of oil and natural gas under much of the continental U.S.